Toi Āria is a public engagement centre helping organisations create and deliver community-centred policies and services. We operate in a unique niche within a university where our key motivation is to facilitate outcomes that prioritise the voice of those most affected. Toi Āria harnesses the power of design for public good. Toi Āria is at the forefront of the use of humanist design philosophy in social policy and government. We are a research centre at Massey University's College of Creative Arts that helps organisations create and deliver people-centred policies and services. We have worked with national and local government teams on large multi-disciplinary research projects that use a people-centred methodology to deliver positive social change. Our aim is to explore better practice for a more inclusive public sector in Aotearoa - New Zealand. 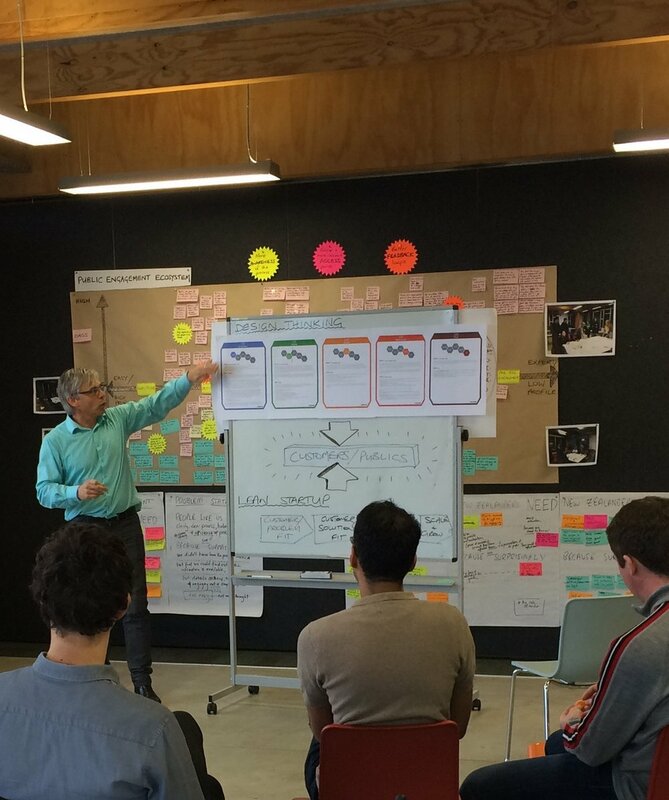 In collaboration with the Data Futures Partnership, Toi Āria established Our Data, Our Way, an engagement programme designed to enable a broad cross-section of New Zealanders to easily express their personal positions on a range of hypothetical data scenarios. These included sharing medical records, education records and data generated by ‘smart’ street lighting. Toi Āria was engaged by the Greater Wellington Regional Council to undertake a series of Public Transport workshops with various sectors of the population: Students, working adults, retirees, off peak travellers and many other groups. Toi Āria has been working with the Masterton District Council on the development of a citizen-led design strategy that assists in the public re-imagining of their Town Centre. We are undertaking this project in partnership with Letting Space, a Wellington-based national independent urban art and revitalisation programme. After the earthquakes, rather than rebuilding the 124 damaged schools there was an opportunity to look ahead and construct innovative physical environments that enable future-focused education for all learners and their communities. Grow Waitaha, initiated by the Ministry of Education, is a partnership between the Ministry, iwi, schools and their communities, and four providers, including Toi Āria. Sharing their views on how their data is used and shared in Our Data, Our Way. Contributing towards a customer-centred public transport network. Engaged in UNICEF Map your World for Our Future Masterton. The team very quickly took us out of our usual thinking to connect us with the needs of users, and gave us very firm priorities to pursue as we seek to make the case for change.